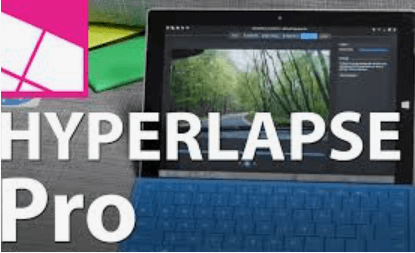 To get FREE Microsoft Hyperlapse Pro (PC or Mac) Follow the steps: Microsoft Hyperlapse is a new technology that creates smooth and stabilized time lapses from first-person videos. This is a pro version for enthusiasts and professionals who want to edit videos using hyperlapse technology on a Windows desktop application. Zendesk is Offering Microsoft Hyperlapse Pro (PC or Mac Digital Download) for Free when you follow directions below. Enter this product key the next time you launch Microsoft Hyperlapse Pro for the full-featured version of the app. NOTE: This product key WILL NOT WORK on the YI VERSION of Microsoft Hyperlapse Pro.